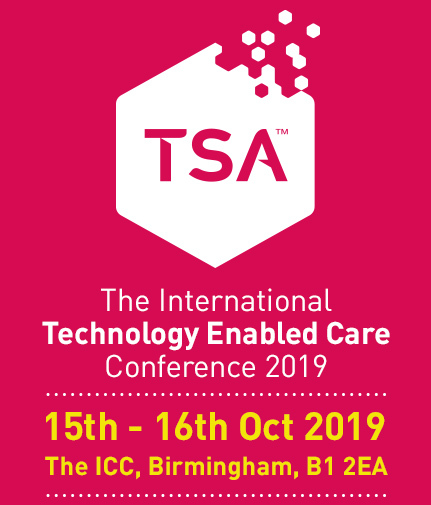 TSA are delighted to announce that the 2019 International Technology Enabled Care Conference will once again return to the International Convention Centre (ICC) in Birmingham on Tuesday 15th & Wednesday 16th October 2019 and will be chaired by TSA President and former Minister for Care, Paul Burstow. The theme for this years conference will be: Citizen Powered Communities. This theme will be followed over the 2 days of conference, with both keynote plenary speakers and breakout sessions focusing on this theme. We will once again hold a call for papers, which will enable us to help shape breakout session content, and offer our delegates the opportunity to hear about best practice examples of how Technology Enabled Care is supporting users and communities. Further details on the call for papers will be released in due course. Last year’s conference saw over 800 attendees and over 60 exhibitor stands showcasing the latest Technology Enabled Care Solutions, and we believe that with our excellent programme content and a great centrally located venue, 2019 will be even more successful. We look forward to seeing you in Birmingham for conference. you can view the presentations from the 2018 International Technology Enabled Care conference below or via out YouTube playlist here. "A very informative conference, relevant and beneficial to the services that we provide. It's also an opportunity for us to network and engage with new organisations. Sharing idea's and working together to provide excellent TECS. " "The programme content was very good with something for everyone. " "Accessible location. Good variety of break out sessions. opportunity to network with other providers and suppliers." "A great opportunity for service providers and manufactures to share information and knowledge"
"I liked that there was opportunity to hear form people about how the digital switch over will affect telecare and how suppliers are planning to offer solutions." "Opportunity to network, gather relevant information regarding the industry, good talks an new tech on display. " "A great range of suppliers within the exhibition and a great opportunity to talk to people and try kit."